Welcome to the week of the big game! While the eyes of the sporting world are on the championship showdown between the Atlanta Falcons and the New England Patriots, our eyes are on bowls of a different kind: ski bowls. In January, we reached out to skiers and snowboarders via social media to ask them where they find the best bowl skiing in North America. Based on the responses, we put together a list of the five most popular locales for bowl skiing, along with honorable mentions. Before we get to the good stuff, here are a few definitions. First, what exactly is a bowl? And while that works in layman’s terms, it left us looking for something more scientific. Surprisingly, we couldn’t find a geological definition of a mountain bowl. But we did find technical definitions for basins and cirques. A basin is an area of land enclosed by hills and mountains. Basins are created by shifts in the earth’s plates or through water erosion. A cirque is a steep, concave valley formed by glacial erosion. While caused by different forces, mountain basins and cirques offer skiers and snowboarders the same basic experience: a high valley surrounded by steep slopes where the skiing and riding can be sublime. When Vail’s Back Bowls opened in the 1960s, there were just two Back Bowls: Sun Up and Sun Down. Today Vail has an expansive complex of seven wide-open, stunningly beautiful bowls. With more than 3,000 acres to explore, Vail’s Back Bowls range in difficulty from intermediate to expert. High-speed lifts provide quick access to the top of the bowls, to the front side of the mountain and to Blue Sky Basin, with widely spaced glades and short, steep chutes. Judging from reader responses, we could have done an entire post just on Colorado bowls. Favorites include Montezuma Bowl at Arapahoe Basin; Spaulding, Resolution, Union and Copper Bowls at Copper Mountain; the bowls of Crested Butte’s Extreme Limits; Telluride’s Black Iron and Revelation Bowls; and Winter Park’s Parsenn Bowl. An eastward facing glacial cirque on Mount Washington, Tuckerman Ravine received as many mentions as Vail. A backcountry experience, you won’t find lifts here, but you will find plenty of challenges unlike any other skiing on the east coast. Avalanche danger is real, especially between December and March so check with the U.S. Forest Service Mount Washington Avalanche Center before heading out. When conditions are safe, expect hundreds of skiers and riders launching themselves off the headwall into gullies, chutes and mid-mountain cliffs. About one-third of the way down the mountain at Blue Knob, PA, you’ll find Stembogan Bowl, a small basin set amongst the ski area’s most difficult runs. 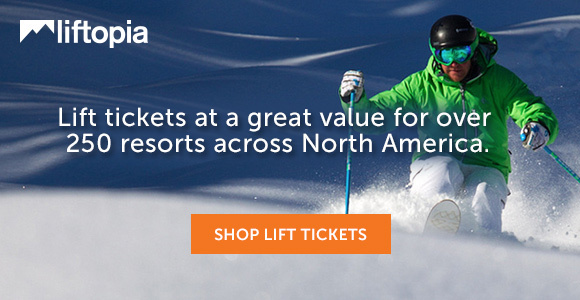 See NY, NJ & PA lift tickets. Not surprisingly, this massive Canadian ski resort has a massive amount of bowls. Choose from sixteen alpine bowls spread across two mountains. Respondents shared the names of their favorites including Jersey Cream Bowl, 7th Heaven Bowl and Lakeside Bowl at Blackcomb, along with Symphony Amphitheatre, Bagel Bowl, Harmony Bowl, Flute Bowl and West Bowl at Whistler. Lake Louise Ski Resort, AB is famous for steep advanced and expert skiing in their Back Bowls. Revelstoke, BC gets noticed for the cornices and chutes of North Bowl. Get there by hiking the Lemming Line Traverse. Snowbird is famous for many things, including steep skiing and deep Utah powder. Mineral Basin, on the backside, offers a full range of skiing including groomed beginner and intermediate runs. At the other extreme you’ll find the Bookends. The Cirque, on the frontside of Snowbird, falls steeply away below the tram, offering a natural stage for some of Utah’s best skiers to showcase their skills on some of Utah’s best skiing. Park City is awash in bowls, with twelve, one of the most popular being Jupiter Bowl. Sundance also got a shout for Bishop’s Bowl, a treeless expanse at the top of the mountain. Sun Valley has ten bowls accessible by four chairlifts. Three bowls, Sigi’s, Christmas and Mid Christmas Bowl, are rated more difficult, while the remaining seven (Kaitlyn’s, Lefty, Mayday, Lookout, Easter, Little Easter and Lower Christmas Bowl) are rated advanced. Reader favorites, Easter Bowl and Christmas Bowl, make every day a holiday. While Jackson Hole, WY didn’t get as many mentions as Sun Valley, it’s not from a dearth of bowls. With ten bowls and one cirque, the rugged Teton Mountains offer bowl skiing heaven. Don’t see your favorite bowl on the list? Leave a comment! We plan to do a follow up post, so please share your favorites.